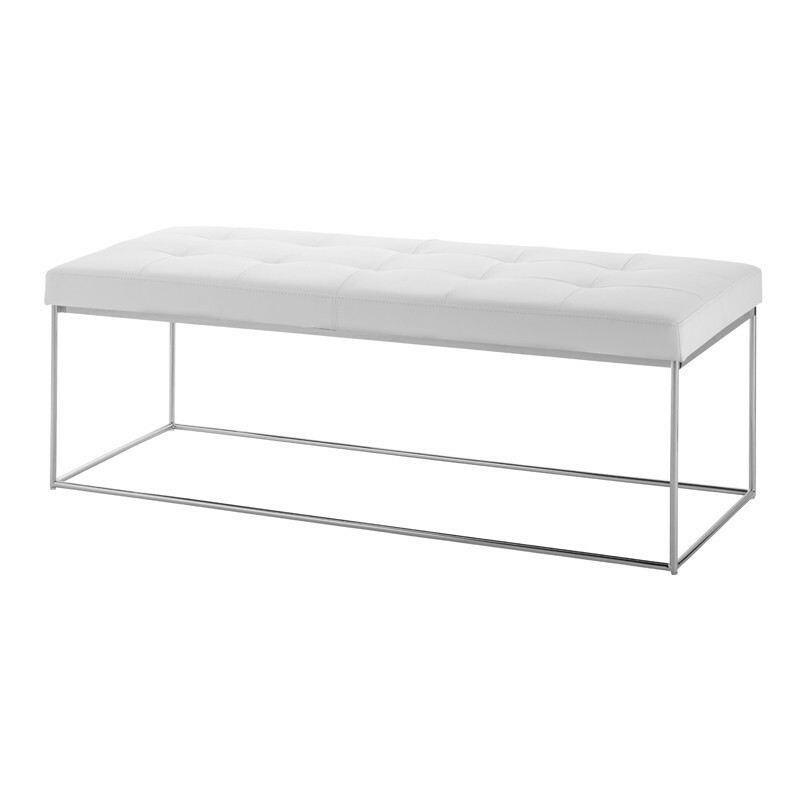 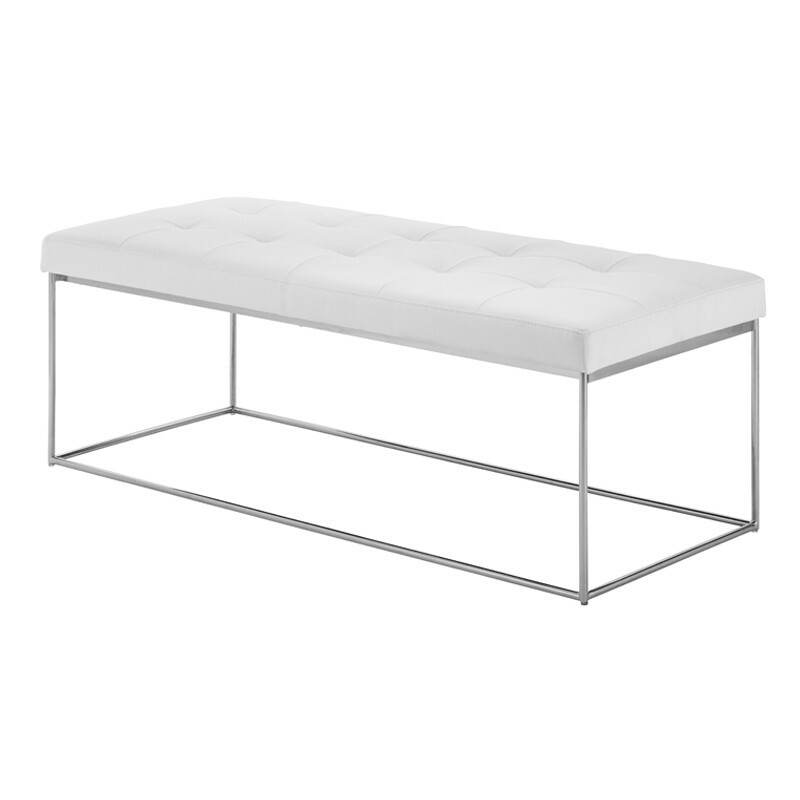 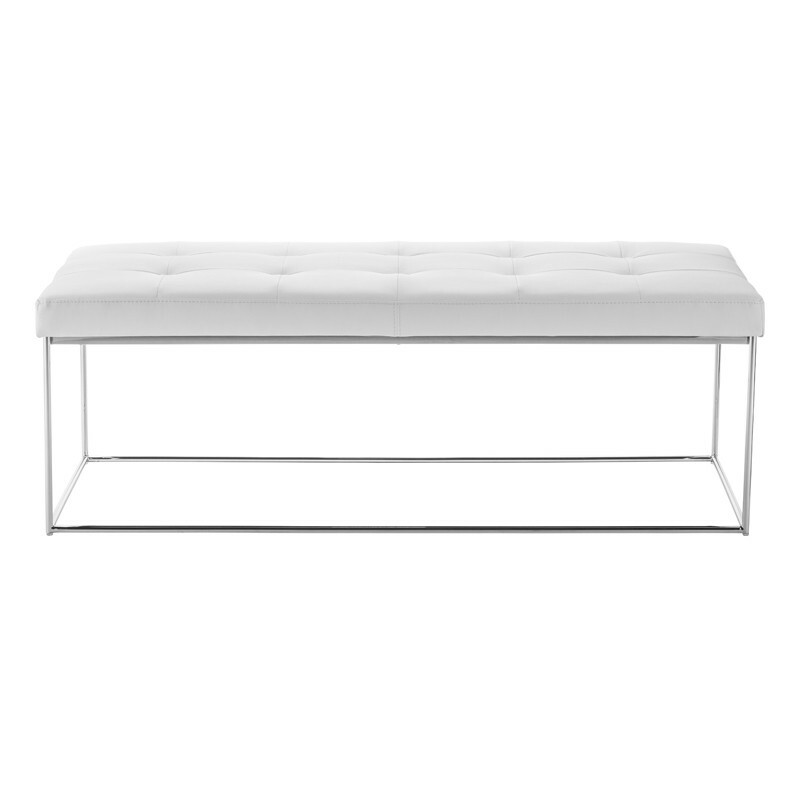 The Caen small bench is simple modern sophistication. 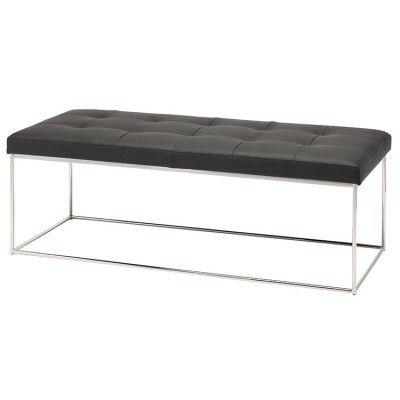 The rectangular frame made with pencil thin stainless steel rods supports a thick cushion of tufted Naugahyde upholstery. 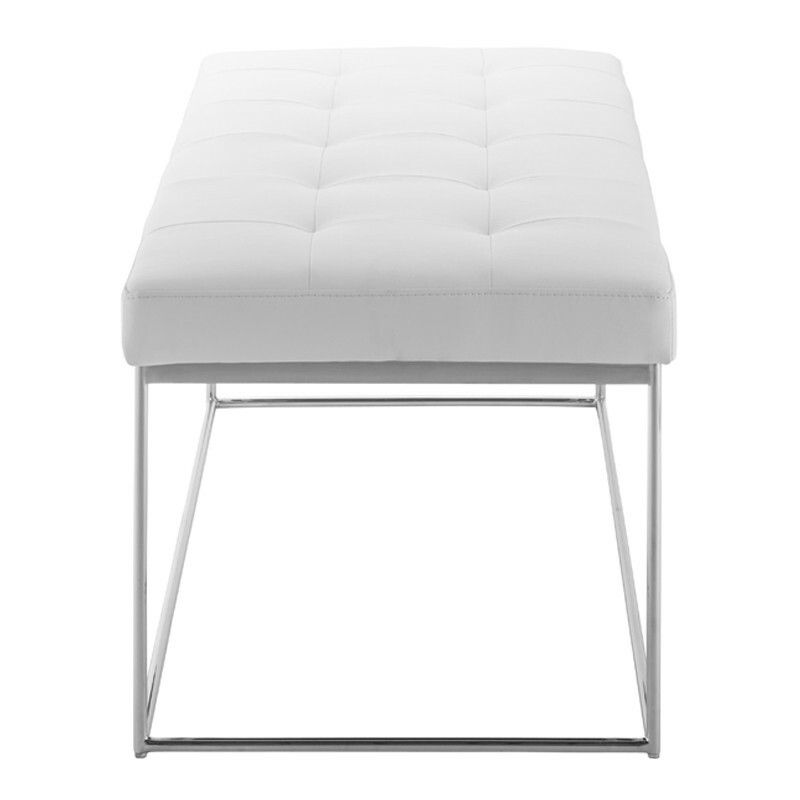 The effect is light, refined and very comfortable.